Schools know how to treat a scraped knee. But what about stress and sadness? If you’re a parent of a school-age child, you probably trust that their school can handle basic first aid like treating knee scrapes or doling out ice packs. But what if your kid is depressed? Or anxious? 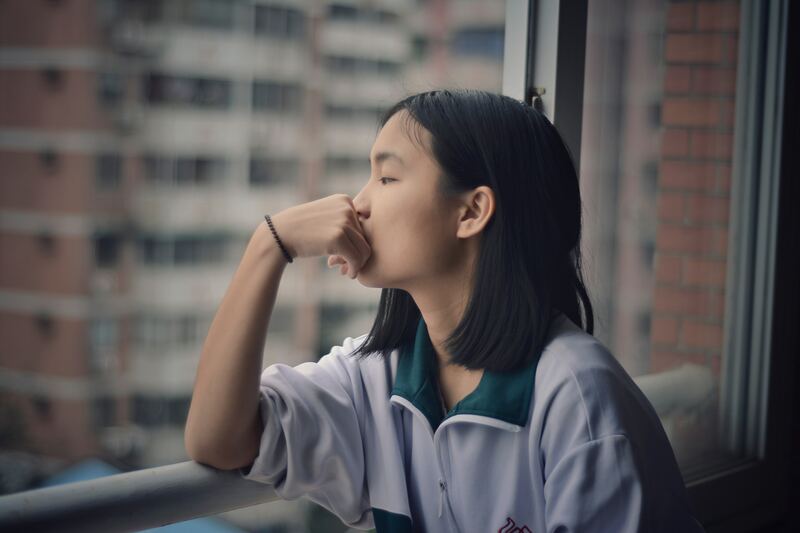 According to a new poll from the University of Michigan, just “38 percent of parents are very confident in schools’ ability to assist a student suspected of having a mental health problem,” according to the poll’s press release. Called the C.S. Mott Children’s Hospital National Poll, the new data analyzed a national sample of parents with children between the ages of 6 and 18-years-old. (Approximately 2,000 households were polled.) Seventy-seven percent of parents reported feeling confident that schools are on top of things like gym class injuries or fevers, but fewer felt that schools are able to treat chronic health issues like asthma or mental health. This was echoed by Sarah Clark, MPH, an associate research scientist at Michigan’s department of pediatrics and co-director of the poll: “Parents feel schools can handle basic first aid, but are less sure about urgent health care situations such as an asthma attack, epileptic seizure, or serious allergic reaction,” she said in the press release. The most critical takeaway was that parents “have the most uncertainty around whether schools can identify and assist a student with a mental health problem,” she continued. “One of the challenges of addressing mental health is that there are so many facets,” Clark said in the press release. “At the elementary level, this might include prolonged sadness, anger management problems, or undiagnosed ADHD. For older students, it may be anxiety about college entrance tests, a problem with drug use, or suicidal thoughts,” she said. Treating these concerns is complicated by the fact that there may not be enough nurses and professionals to help administer care, plus parents may overestimate the amount of time said staff are actually onsite. Roughly 3 in 5 parents polled said that they thought that a nurse was onsite at the school 5 days a week, and those parents also reported greater confidence in how the school could handle any health or safety problems that arise, according to the press release. But the press release cites new data from the National Association of School Nurses suggesting that “fewer than half of U.S. schools have full-time nurses” depending on where the school is. And for middle and high schoolers who do have access to school counselors, there are still obstacles thanks to “varying levels of training, competing demands and large student caseloads” that can make it hard for mental health professionals to develop a relationship with students in need to identify and treat potential problems, Clark said in the press release. This new report sheds light both on how more professionals are needed to help address a variety of needs for students, but also how access to mental health care should be treated like basic first aid. Read more about the poll here.